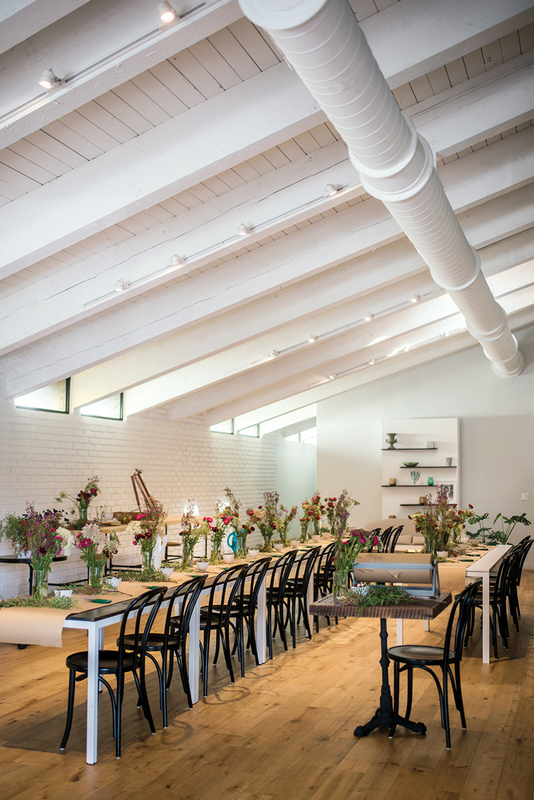 The 3,400-square-foot building boasts five private offices, a kitchen and bar, meeting rooms, a mezzanine level with desks, open space for community happenings, and a backyard for outdoor functions. 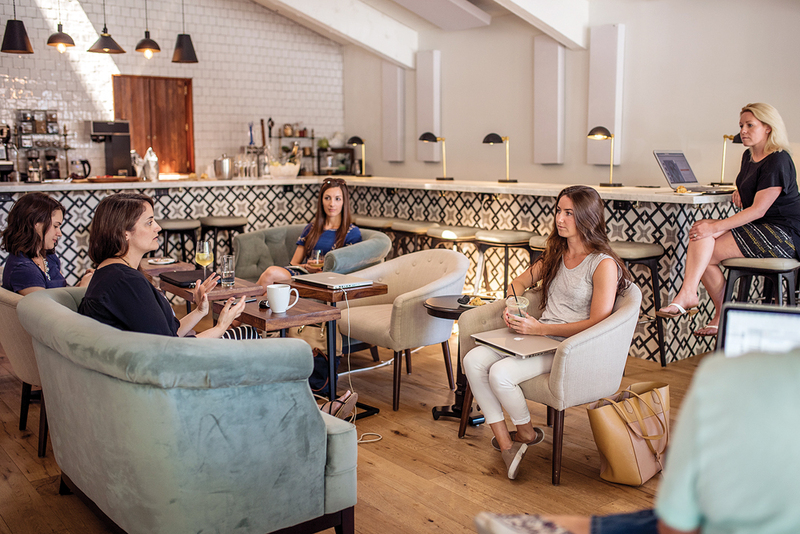 Exposed beams, wood floors, and hip tilework form a warm environment conducive to a brainstorming session over coffee, a business meeting with clients, or a stylish private gathering. 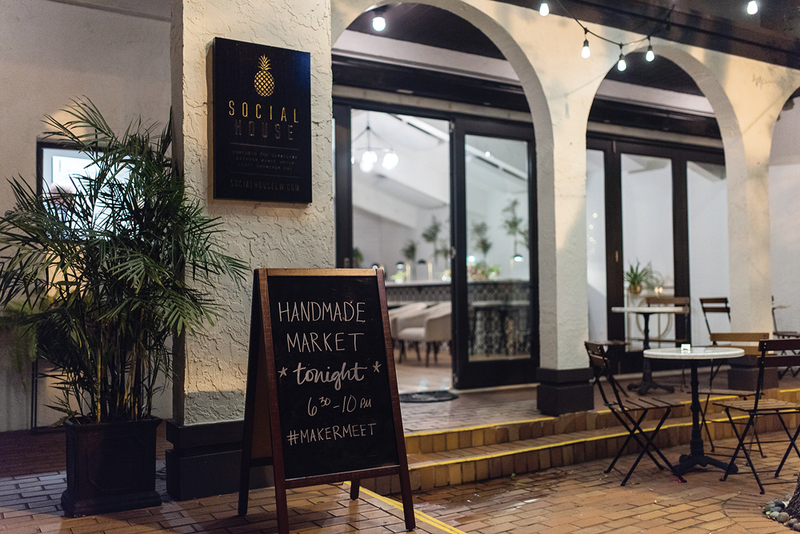 The Social House is a haven for co-working, artistic workshops, and one-of-a-kind events. Memberships include access to work areas and regular events, like pop-up markets and networking mixers, as well as workshops ranging in topic from making paper flowers to starting your company. For those who may not have a small business but would like to get involved, McGlynn has introduced a new social membership that grants admission to all night and weekend get-togethers. First-time visitors can attend the Social House’s monthly Open House, taking place March 28 from 9 a.m. to 9 p.m. First, get to know a few members of the Social House family.